Recently, Sephora has their VIB Sale. 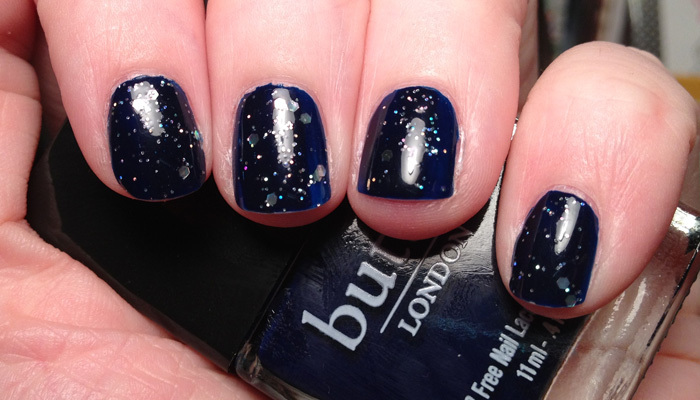 Since I had a discount, I decided to try out some Burberry nail polishes. I’d never tried them before. 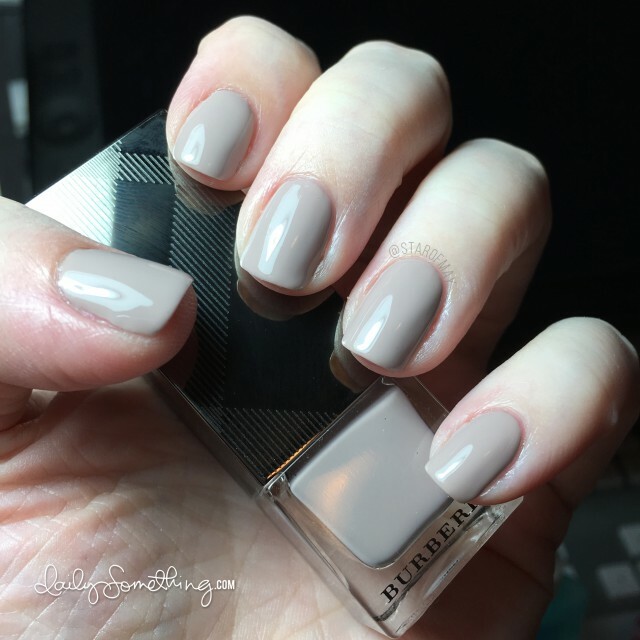 Burberry polishes have an interesting formula. They’re very liquid-y, but aren’t particularly thin. So the application was a bit tricky. I’ve never had a polish flood my nails like this before. After the first few nails, I got the hang of it and tried to apply very thin coats so that I could control the polish better. In the end, I applied only two coats to get complete opaque coverage. I really love the Ash Rose color. I don’t think it’s particularly “rosy” but more of a nice neutral color. It goes with just about anything. I wore it for a few days until one nail on my other hand snagged pretty bad and I needed to fix it. I think I could have gone a couple more days (5 days total) before absolutely needing to remove it. I had barely any tip wear considering it had been three days since application. I did notice that there was a bit of shrinkage around the cuticle area from where the top coat (I used HK Girl) had been applied. (Shrinkage is when the top coat dries quickly and pulls away from the edges). The polish was so near my cuticle (from the “flooding”) that I didn’t have any naked nail to apply the top coat to in order to “seal in” the color. Does that make sense? Usually I have the slightest bit of a gap between the polish color and my cuticle so that I can seal the polish in with a top coat. So if there is any shrinkage, it doesn’t really show. However, I didn’t have that gap when first applying Ash Rose because of the flooding issue. 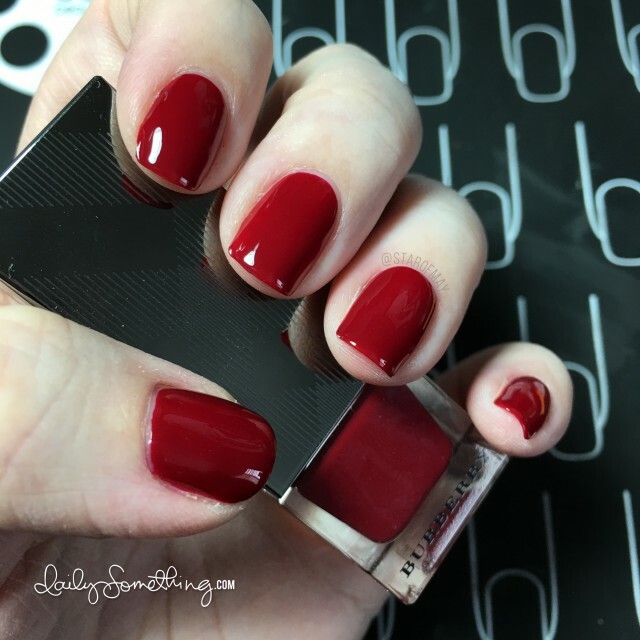 Oh man, I love a good red polish. And this one is a particularly nice color. Again, the formula was more liquid and tended to want to flood the nail, but by keeping the coats thin I had more control over the polish. Having learned about the shrinkage issue, I made sure to leave my usual gap between polish color and cuticle, and then applied HK Girl carefully, making sure I sealed in the color. So far so good. What base coat did you use?